ASPEN – Eric D. Johnson is, apparently, no rebel. As a kid growing up in the Chicago suburb of Naperville, Johnson spent a lot of time with his parents – “a captive in the car,” as he puts it – subjected to their musical tastes. Which happened to be Top Forty AM radio, of the late-’70s vintage. And when his mom picked out her own music, it was the light rock of the era: Bread, America. The typical response would have been to run in the opposite direction – perhaps toward the punk that was emerging at the time. 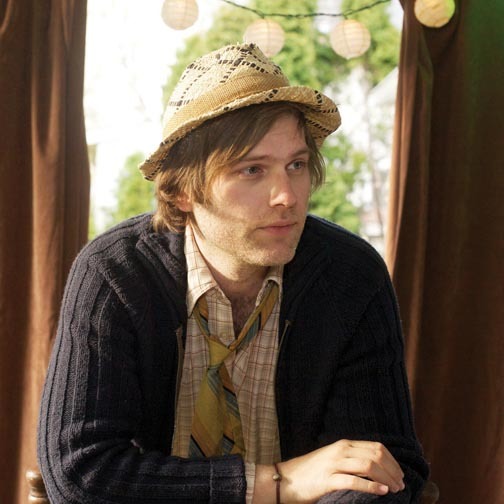 But Johnson capitulated, embracing the sounds he heard over the car radio and using them as the major influence in Fruit Bats, the band he founded in Chicago in the late ’90s. Listening to “Tripper,” an album of sweet, polished, piano-heavy pop-rock released last month by Fruit Bats, distinguished by Johnson’s occasional use of falsetto, it’s surprising to learn that another big influence was the Grateful Dead. But Johnson was more a fan of the Dead’s studio work, especially the song-oriented “American Beauty” album, and not the extended jamming that took place on stage. While Johnson looks backward for his influences, he aims to take his music forward. “Tripper” doesn’t sound retro at all, but fits in well with other bands – including fellow Northwesterners Fleet Foxes and Blitzen Trapper, and San Francisco’s Vetiver, which shares Friday’s bill with Fruit Bats – that mix old folk-rock with more ornate structures and sounds to make something fresh. And Johnson says each of Fruit Bats’ five albums was designed as a chance to experiment with his approach to making music. “Each step has been a subtle evolution,” Johnson said. For “Tripper,” he had three evolutionary moves in mind: He wanted to sound “more poppy and more weird at the same time” (that’s two things), and to write each song as a short story. This shouldn’t be taken as an indication that Johnson’s past songwriting methods weren’t working. A few months ago, Johnson heard that the Decemberists, acquaintances of his from the Portland scene, were covering “When U Love Somebody” – an honor, considering that the Decemberists’ Colin Meloy ranks with modern pop’s best writers.